In celebration of Black History Month the Washington DC Chapter of the National Naval Officers Association cordially invites you to a presentation by Ms. Janie L. Mines. 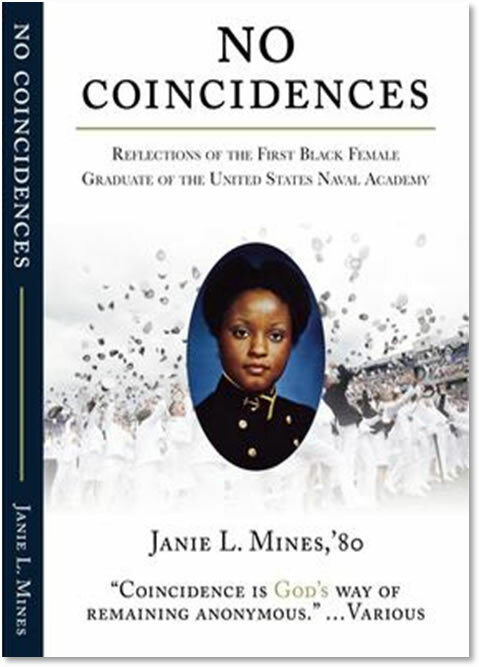 Janie Mines is the First African American Female to attend and graduate from the United States Naval Academy. Ms. Mines is the recent author of a book detailing her experiences while attending the United States Naval Academy and her career as a United States Naval Officer. Her book is titled: No Coincidences – Reflections of the First Black Female Graduate of the United States Naval Academy. Ms. Mines is also President of the following business: Custom Messages, Inc., & Common Cents Business Services, Inc. Please come out and hear this informative and relevant discussion of Ms. Mines experience as one of the first female students and the first and only African American female student in her graduating class and her experiences serving in the United States Navy as an active duty Navy Supply Officer. The date, time and location for this big event is February 19, 2019, at 1830 at the Navy League Headquarters Building in Arlington, Virginia. We would love to have you and family members join us in celebrating this wonderful event in honor of Black History Month! Janie entered and graduated from the United States Naval Academy, as the only African American female in the first class of women. She was later selected to participate in the prestigious Sloan Fellows Program, where she earned an MBA from MIT. During her rewarding military career, she served as a Supply Corps Officer holding several positions including a tour at the Naval Training Center, the Pentagon and aboard the USS Emory S. Land (AS-39). She was among the first generation of women officers to serve on ships. Janie held management and executive positions in P&G, Frito-Lay, Hershey, and Bank of America. She served as the Sr. Advisor, Business Process, Senior Executive Service (HQE-SES) in the Office of the Secretary of the Navy. She continues her service as a member of the SECDEF’s Defense Advisory Committee on Women in the Services (DACOWITS). Janie currently manages her own businesses as an author / publisher and as an executive management consultant focusing on Strategic Planning, Project & Change Management, Quality and Productivity, & Business Transformation. She is a Six Sigma Master Black Belt, a PMP & Prosci certified Change Manager. She has provided services across 15 industries. Janie is also a National Women of Color in Business Award Winner. She founded a non-profit organization, Boyz to Men Club, Inc, was honored as an Olympic Torch bearer, the Civic Volunteer of the Year, a winner of the 9 Who Care Award for the Charlotte Metropolitan Area, and a South Carolina Black History Honoree. Janie is president of Custom Messages Inc & Common Cents Business Services Inc. She is the author of No Coincidences – Reflections of the First Black Female Graduate of the United States Naval Academy available at Nocoincidencesbook.com.